Join the Chargers On the Road in 2009! The San Diego Chargers are pleased to announce The Bolt Brigade, the Official Travel Club for San Diego Chargers fans. There are several VIP amenities that fans will receive as members, including a private Qualcomm Stadium tour featuring a meet and greet with select Chargers players. Not only will members of the Bolt Brigade participate in exclusive events in San Diego, they will also have VIP benefits when they travel to see the Chargers on the road. 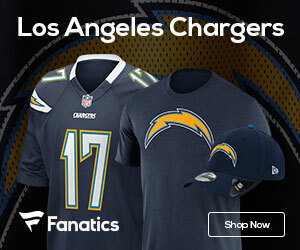 For the first time in team history, the Chargers are providing fans access to Official Chargers Road Trips for every game. Aer Travel, the Chargers travel partner, will be coordinating all of the trips directly with team representatives. Benefits of traveling on the Official Road Trip include exclusive access to rooms at the team hotel and preferred seating locations. There are three marquis road games this season fans will not want to miss, including the last two Super Bowl Champions, Pittsburgh and New York, and a trip to the spectacular new Texas Stadium to take on the Cowboys. To learn more or to sign up for the Bolt Brigade and Official Chargers Road Trips, click here. Also sign up today to follow the Bolt Brigade all year long on Twitter. The Bolt Brigade will be updating fans while they are on the road with the team at twitter.com/boltbrigade.